MILWAUKEE, Wis. (WITI) -- She's the widow of a Milwaukee County deputy, and now she could be on the hook for $140,000 all because of a county pension error. The county says she was accidentally overpaid. 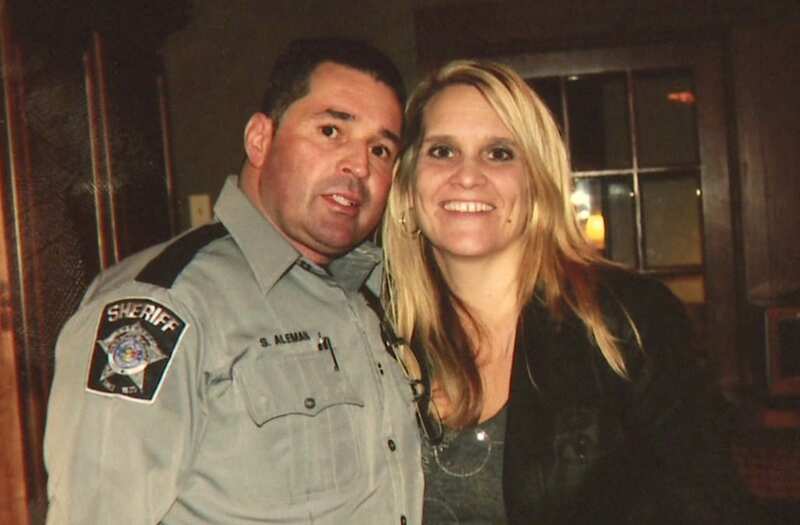 In July of 2012, Milwaukee County Deputy Sergio Aleman, was killed when his squad rear-ended a flatbed truck on I-43. His widow and five children were left to grieve. The county agreed to pay a "survivorship pension" to the family, but now four-and-a-half years later that may be taken away. "She's already suffered the loss of her husband so this is insult to injury," said Theodore Lipscomb, chairman of the Milwaukee County Board of Supervisors. It's all because of a Milwaukee County mistake. "This should have not happened to them or anyone else," said Lipscomb. The county board chairman says an administrative error resulted in an overpayment of benefits calculated at $140,000. Jenna Aleman's husband was killed in a car accident on the job -- and now she may owe over 100K all because of an administrative mistake. Jenna Aleman may now be on the hook to pay that money back. Chairman Lipscomb was notified about the error last week. He says the county retirement director was told about it years ago. "My initial reaction was this was compounding the tragedy and the suffering that she's already endured," said Lipscomb. Lipscomb sent an email to the director, who resigned shortly after. "I responded with a number of questions of how this could possibly have happened and when did they discover it," said Lipscomb. Questions like: when this error was discovered, how the benefit overpayment was calculated and the actions taken. "To say I am disappointed that this error occurred to anyone, let alone the widow of a heroic public servant, is an understatement. This was a tragic mistake that could have financially devastating consequences. My heart goes out to the Aleman family. I've also held accountable the individual responsible for not taking timely action to correct this error. "Moving forward, our priority is on conducting a comprehensive, independent audit of the system to ensure that this kind of error won't happen again." What happens next is yet to be determined.